Well this is a very happy “ta-dah” moment! 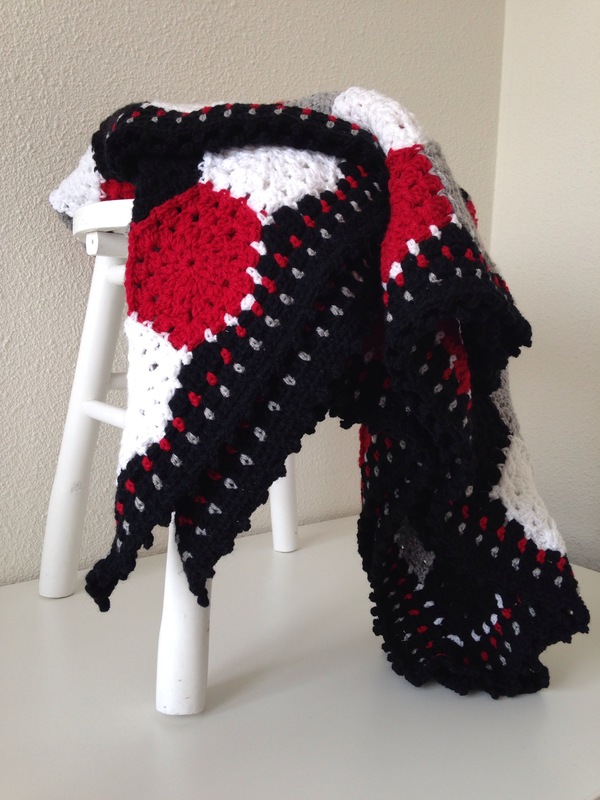 The hexagon blanket in black, white, grey and red is finished and I’m a little bit in love – especially with how the border turned out! 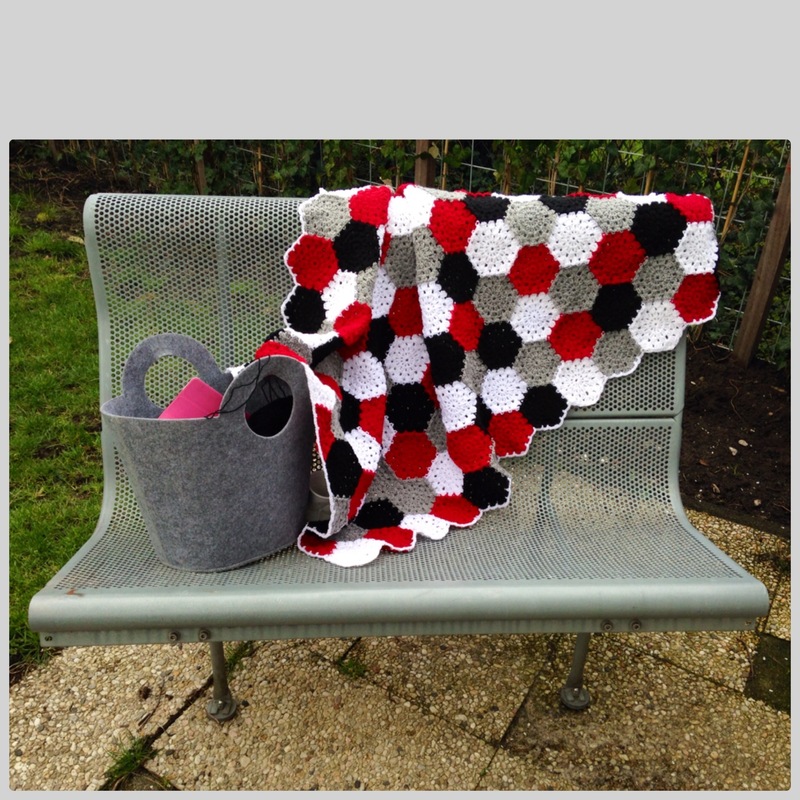 After I had made my first Nordic Shawl, I was left with quite a lot of the acrylic HEMA-yarn I crocheted it with. 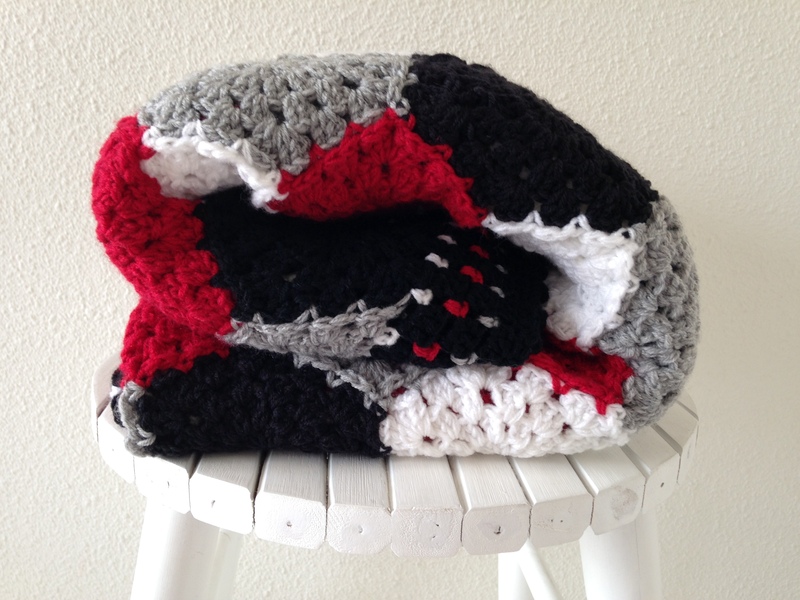 Having cuddled up under the shawl during cold nights, I came up with the idea of crocheting a blanket with this yarn, in colors matching our living room decor (hence the black, grey, white and red). 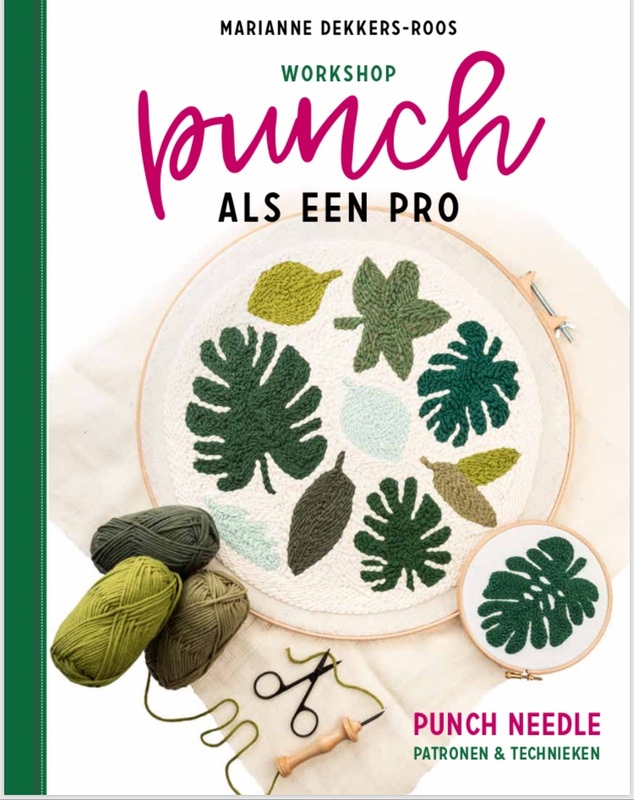 Of course I ended up buying more of the HEMA-yarn, but the 50gr balls being priced just 1 euro each was really not a reason not to! 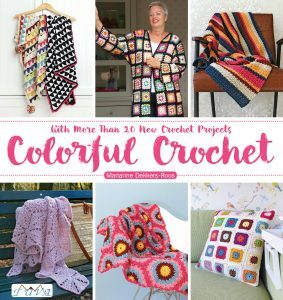 Remembering how much fun I had crocheting my first hexagon blanket in 2011, I decided to look for a nice hexagon pattern for this one too and found it on the beautiful “Lavender and Wild Rose blog“. 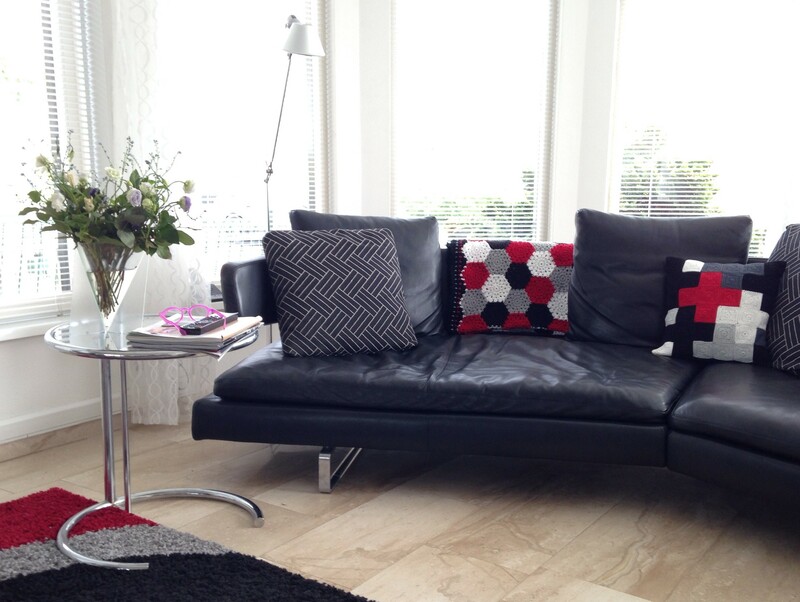 Jen made an exellent tutorial for this motif, you can find it here. At first I went for the “randomly adding hexagons join as you go”- method, going in rounds, but quickly started working in rows, carefully picking colors, making sure no two same colored hexagons touched each other. My – eum, shall we say – precise brain could not handle too much of this random stuff; much happier doing the row-by-row-thing, I can tell you. It was sort of hard to decide when it was big enough to start the border and I have to admit that the key to that point was my just being ready with it. This time I wanted to have straight borders and found a helpful tutorial on this subject here. 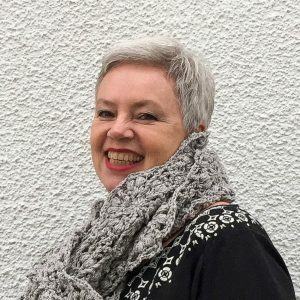 I did have to adjust my stitches a bit, but Vicki’s excellent blog post pointed me in the exact right direction. 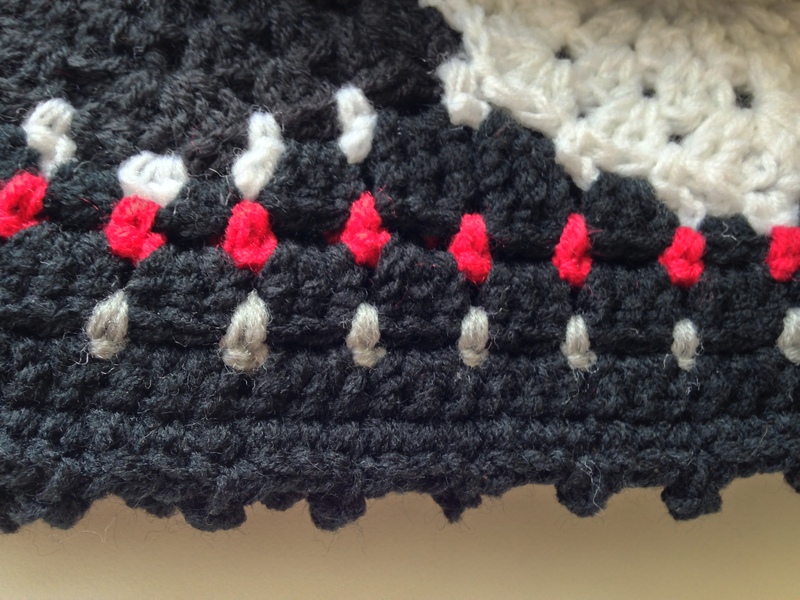 On my last round I added a small picot, that gives the blanket a whimsical touch. 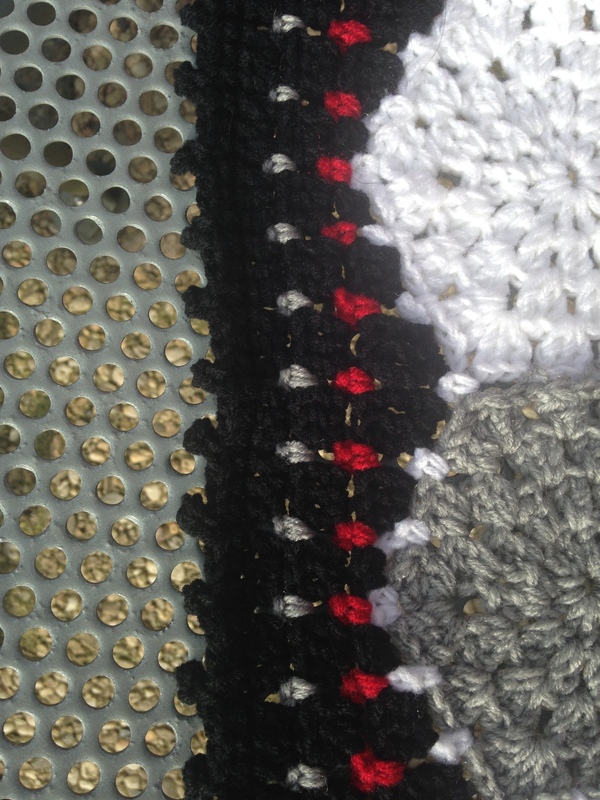 While crocheting the border I could not have suspected I would be so happy with it once done – I think it frames the blanket nicely and I also like it that there’s a subtle hint in the border to the colors used in the blanket. It’s beautiful… I love that border. 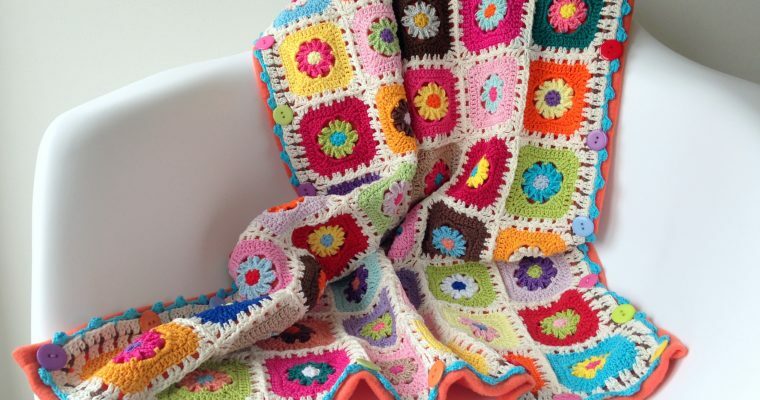 Where can I get a copy of this hexagon blanket with the lovely border. 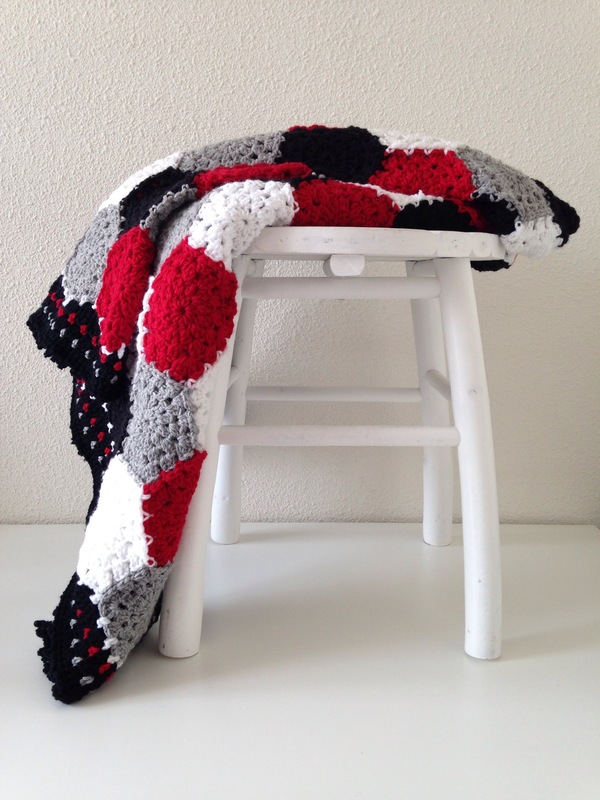 My daughter is expecting a son and his room will be red white grey and black!! Congratulations! Oh, that sounds like a perfect match then!I’m afraid there’s only one of this blanket, Particia, and it’s living in my family room …. Truly stunning Marianne, all your hard work really paid off. It’s so beautiful Marianne. 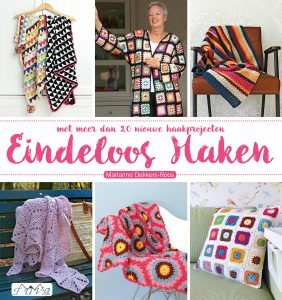 I love all your creations, but you know me, being hexie mad and all, I love this one even more! This is amanzingly beautiful! Just love the colours and the border!! Any chance I could get the border pattern, your work is so beautiful! Thank you for sharing your beautiful creation! I have been searching for a pentagon pattern but haven’t been satisfied with the instructions until now. I am more inspired than ever to get started with my project. Just curious if you would be willing to make another for purchase? I would love to have this exact one for my baby boy that is due in September. My other son had a blue one made for him and he loves it, won’t go anywhere without it…and he is almost 10. Let me know what you think. Thanks in advance!! 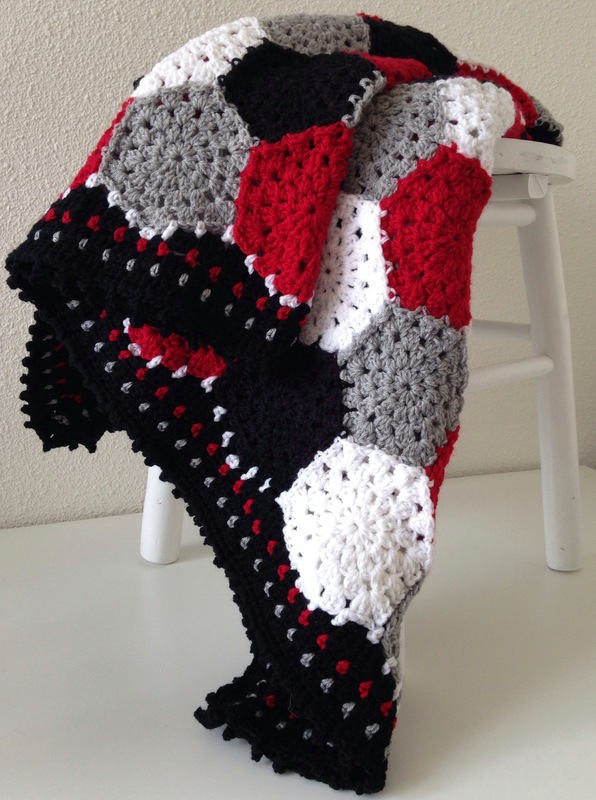 I’d be delighted, Jessica – thank you so much for liking this hexagon blanket as much as you do! I’ll send you an email, ok? Beautiful!! Did you use half hexies at all?? If so do you have a link?